The DJI F450 Flame Wheel E305 ARF Kit V2 from DJI is their next exciting product to the market, it utilises the latest technology seen from the E305 Tuned Propulsion system. This package includes the latest DJI F450 Flame Wheel E305 ARF Kit V2 supplied with the landing legs needed to install a Zenmuse gimbal. The new E305 Tuned Propulsion system gives a higher thrust to weight ratio which increases the reliability, stability and agility of flight through enhanced aerodynamics and efficiency from the motor, ESC and propeller combination. The DJI Naza M V2 main controller hardware structure has been optimized, the expandability and performance of the flight control system has been enhanced further with new attitude stabilization algorithms. The E305 Tuned Propulsion system has added to these improvements to provide better flight performance and manoeuvrability, the new level of flight control performance provides better flight control, flights are smoother and take-offs are easier. The Naza M V2 has automatic course deviation compensation, this reduces the effects of magnetic disturbance and interference around the compass, there is a warning for detection of magnetic disturbance from the Naza LED. The IMU advanced calibration; error identification and warning helps to reduce the impact of sensor errors in flight so increasing the overall performance of the system. The GPS unit supplied with the Naza M V2 will see great position holding and RTL (Return To Launch) features for additional safety. The Naza M V2 with GPS also has the IOC (Intelligent Orientation Control) function to help new and experienced pilots gain the most from the systems with easy orientation assistance while flying at greater distances. Please note some soldering and construction is needed on the F450 Flame Wheel E305 ARF Kit V2. The DJI Zenmuse H3-3D V1.1 Brushless Gimbal is a 3 axis brushless gimbal, which has a high precision, high stability and lightweight chassis with plug and play features; it is widely used in film and television productions and advertising aerial photography. The Zenmuse H3-3D Gimbal is designed for the GoPro Hero3 and will stabilise and control the GoPro camera precisely within the 3 axis of control for outstanding video stright from the camera. 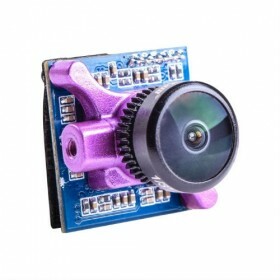 The precision of control angle is within the range of ±0.03°, so the photos or video output will be of the highest quality in fast forward flight or a holding position. The H3-3D gimbal has its own independent high-precision Inertial Measurement Unit (IMU) which offers precise attitude information and more accurate control. The H3-3D gimbal has a video output pickup from the GoPro Hero3’s USB connector and with the use of a video transmission system (video downlink required supplied in this kit) you will be able to view the image seen by the GoPro in real time.The mechanical design, weight and power supply to the gimbal is matched to the Naza M V2 perfectly. The H3-3D can have the tilt adjusted from a transmitter, this can be used to give the pitch (tilt) control function to the gimbal, the other 2 axis's are not user controlled. No additional receiver channels are needed as it uses the additional MC channels for operation on the Pan / Roll axis. The aluminum alloy material and mechanical design means that the gimbal is extremely light weight (total approx weight 330g with the GoPro Hero3 included). The structural design of the aluminum frame guarantees the strength of the gimbal and gives it a robust feel and function. The DJI F450 Flame Wheel E305 ARF kit V2 utilises the latest technology from the E305 Tuned Propulsion system, The Tuned Propulsion systems can be used with the a number of flight controllers, the Naza M V2 is supplied in this kit, however you use any other controllers from the DJI range like the DJI A2 M, DJI Wookong M,or the DJI Naza M Lite V1.1 autopilot systems. The DJI Naza M V2 is used to achieve hovering, cruising or other flight elements. The DJI F450 E305 can be used for aerial photography, entertainment, First Person View / FPV flights and other aero modelling activities. The E305 Tuned Propulsion system are the next evolution in motors & ESC's designed for multi-rotor use, the higher thrust to weight ratio from the E305 system increases the reliability, stability and agility of flight through enhanced aerodynamics and efficiency from the motor, ESC and propeller combination. The E305 Tuned Propulsion system uses the DJI 9450 propellers which deliver an average of 20-25% improvement over the older 8 x 4.5 propellers without the need for an increase in motor size. The higher lift generated from the new profile propeller means that payloads can be increased without the need to upgrade the system. The DJI E305 2312E motors supplied in this kit are a 960 Kv motor which have the latest technology in stator winding structure for improved efficiency. This technology increases the wire embedding in between the stator arms; this allows any heat build-up in the motor to be dissipated much quicker. The other advantage to the E305 2312E motor’s single wire design is the increase in efficiency, the lay out of the single wire winding means that the 2312E motors are able to work at higher Amp draws without seeing any increase in heat. The DJI E305 420 Lite ESC which are supplied with the DJI F450 Flame Wheel E305 ARF Kit V2 have been improved with a new efficient and quick response algorithm to take full advantage of the new motor and propeller combination. All of the improvements contribute towards extra maneuverability and stability in windy conditions or during descent of the aircraft. The propellers are balanced dynamically to reduce “jello” and rolling shutter issues seen on non-balanced propellers when using cameras in the air. The E305 ESC’s have been designed with a coaxial cable to lower the impact of electromagnetic interference to other systems on board while in flight. 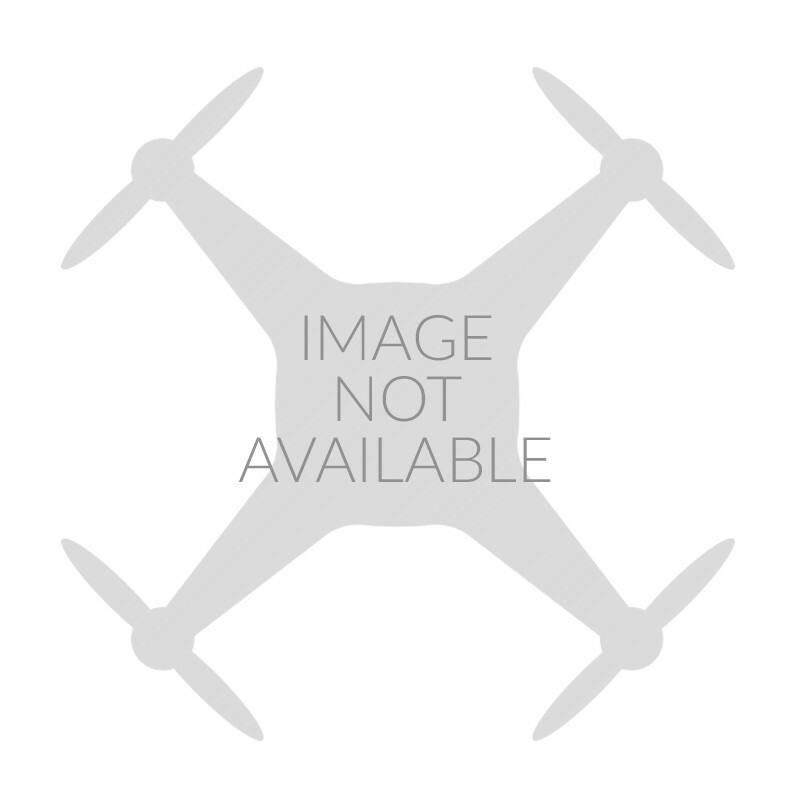 The DJI F450 Flame Wheel frames are built from very strong materials, the arms are made from the ultra-strong PA66+30GF, this provides better resistance to damage on hard landings, while the main frame plates use a high strength compound PCB material, which makes wiring of ESC's, additional parts and battery easier, quicker on the lower of the two frame plates which is also the power distribution board. The overall frame design provides enough space when assembled to fit an autopilot system between the top and bottom plates of the F450 Flame Wheel. 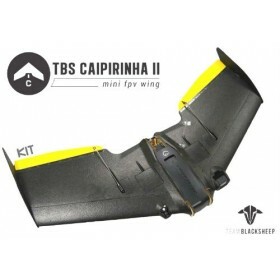 The arms supplied in the kit are different colours, 2 red and 2 white to allow for improved visual orientation in flight, other coloured arms in black are also available. 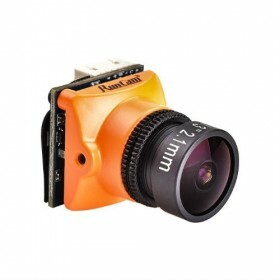 The DJI iOSD Mini delivers the Naza M GPS on screen display information, this was a long awaited addition to the Naza M V2, this is a great addition for the FPV / First person View flyer who needs accurate flight data information in the shortest possible time, the DJI iOSD Mini will give you the best in FPV flight experience and data in real time. The DJI iOSD mini displays the vital information overlayed on to the video images seen from the onboard camera, no more guessing at the battery voltage level, this is clearly displayed along with distance and height from your take-off point. There is a clear home point location displayed on your screen to make finding your way home easy, you just follow the on sceen "diamond" back to the home point which is set at take-off when there are enough GPS satellites found. The DJI iPad Ground Control Station (GS) App is for the iPad 3 / 4 and Mini offers full support for all of DJI multi-rotor flight controllers, the DJI iPad can access the parameters to allow the user to change them with ease or set waypoints wirelessly from an iPad. These additional features from DJI iPad Ground Station will give both the hobby and aerial photography professionals another tool to conduct fun or professional flights with a real time mapping and flight data clearly displayed to monitor the multi rotors progression and key flight information. The DJI iPad Ground Station comes with the click & go function, 16 waypoints are included for the Naza M V2 GPS, these are enabled after a firmare upgrade to the flight controller. The SpiroNet 5.8GHz LHCP Circular Polarized antennas from ImmersionRC and Fat Shark are designed for First Person View applications; this set comes with both the ground and air 5.8 GHz SprioNet antennas which are Left Handed Circular Polarization. The ImmersionRC LHCP SpiroNet 5.8 GHz antennas use the Left Handed Circular Polarized which gives a reduction in cross-channel interference when there are multiple pilots using the 5.8 GHz band. 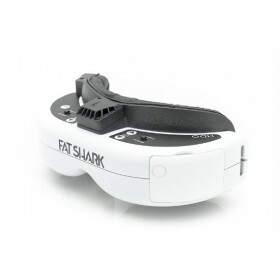 Both of the antennas comes with a high quality semi-rigid cable to allow the clearance needed over the top of the pilots head when using video goggles like the Fat Shark Attitude V3 goggles. Both the ground and air antennas have the high quality semi-rigid cable, which can be bent to any angle and maintain its shape in any orientation. These antennas have SMA connectors which are compatible with all Fat Shark and Immersion RC 5.8 GHz products sold to date. The ImmersionRC LHCP 5.8 GHz Circular Polarized antenna are small and lightweight, which means that they can be mounted directly onto any of the LCD headset from Fatshark, like the Fatshark Attitude V3 goggles. The ImmersionRC Uno or ImmersionRC Duo receiver users will also find these 5.8GHz Circular Polarized antennas very useful to extend the range and reliability of the Uno or Duo receivers which allows for the best possible video link to you craft. ImmersionRC Duo users can combine these SpiroNet 5.8GHz Circular Polarized antennas with the SpiroNet 5.8GHz LHCP Patch Antennas to take advantage of both close and longer range video all in one package with one receiver. The Spiro Net 5.8GHz Left Hand Circular Polarized antennas have been manufactured with very tight tolerances and are tested on a professional antenna tester (Rhode & Schwartz) to ensure maximum range and performance is delivered. The range of an ImmersionRC 600 mW 5.8 GHz Long Range Transmitter or ImmersionRC 5.8 GHz 25 mW transmitter is extended out to a much greater distance over the standard “L shape” antennas and are a recommended upgrade for the best proformance from your FPV system. Please note that the LHCP versions of the SpiroNET antennas do not replace the ImmersionRC SpiroNet 5.8 GHz Circular Polarized Antennas versions, and are not compatible with them as they are RHCP. The SpiroNet 5.8GHz Circular Polarized antennas from ImmersionRC and Fatshark are designed for First Person View applications; this set comes with both the ground and air 5.8 GHz SprioNet antennas which are Right-hand circular polarization. The both Antennas comes with a long cables to allow the clearance needed over the top of the pilots head when using video goggles like the FatShark Attitude V3 FPV goggles or the Fatshark Dominator V3 HD Video Goggles. Both ground and air antennas have a high quality semi-rigid cable, which can be bent to any angle and maintain its shape in any orientation. These antennas have SMA connectors which are compatible with all FatShark and Immersion RC 5.8 GHz products sold to date. The 5.8 GHz Circular Polarized antenna are small and lightweight, which means that they can be mounted directly onto any of the LCD headset from FatShark, like the FatShark Attitude V3 goggles. The ImmersionRC Uno or ImmersionRC Duo receiver’s users will also find these 5.8GHz Circular Polarized antennas very useful to extend the range and reliability of the Uno or Duo receivers which allows for the best possible video link to you craft. ImmersionRC Duo users can combine these SpiroNet 5.8GHz Circular Polarized antennas with the SpiroNet 5.8GHz Circularly Polarized patch antennas to take advantage of both close and longer range video all in one package with one receiver.The Spiro Net 5.8GHz Circular Polarized antennas have been manufactured with very tight tolerances and are tested on a professional antenna tester (Rhode & Schwartz) to ensure maximum range and performance is delivered. The range of an ImmersionRC 600 mW 5.8 GHz Long Range Transmitter or ImmersionRC 5.8 GHz 25 mW transmitter is extended out to a much greater distance over the standard “L shape” antennas and are a recommended upgrade for the best proformance from your FPV system. The ImmersionRC 600 mW 5.8 GHz Transmitters have been designed for First Person View applications; the ImmersionRC 600 mW 5.8GHz Transmitters are small, lightweight and are supplied with a 3dBi 5.8 Ghz Omni-directional antenna (SMA connector) & cables needed to link to the battery, video and audio from cameras into the transmitter. If you are looking for a longer range video reception you can add one of the following parts to your FPV Video goggles or screen receiver, ImmersionRC Spiro Net 5.8GHz Circular Polarized antennas and the ImmersionRC SpiroNet 5.8 GHz Patch Antenna, both of these will increase the video range over the standard 3dBi 5.8 Ghz Omni-directional antennas. The ImmersionRC 600 mW 5.8 GHz will operate on a battery voltage in the range of 6-25 volts. This means that you will be able to power the transmitter directly from a 3s to 6s battery without any additional voltage converters. The 600mW has an on board quiet switching regulator, this provides a power supply at 5 volts to use for powering cameras that need a 5 volt feed (including the FatShark Pilot HD 720p V2 HD FPV Camera). These 5.8 GHz ImmersionRC video Transmitters will work with Fatshark goggles like the Attitude V3, Dominator's and the ImmersionRC Uno or ImmersionRC Duo. The ImmersionRC transmitter operates on the following frequencies: 5740, 5760, 5780, 5800, 5820, 5840, 5860 MHz and the audio channels allow an easy way to use a telemetry downlink for the more demanding user.The use of 5.8 GHz video transmitters for First Person View flights means that there is no interference with radio controllers operating on the 2.4 Ghz band. Please note that the 600 mW Immersion RC video Transmitter can't be used in all regions license free. Please check with your local radio authority to ensure you comply with local laws throughout Europe and other countries on aircraft transmissions levels before ordering this product. A license might be required in your location to operate this equipment legally both on the ground and in the air. If you need to use a lower powered system due to restrictions in your country you can use the Immersion RC 5.8 GHz 25 mW Transmitter. The ImmersionRC 25 mW 5.8 GHz Transmitters have been designed for First Person View applications; the small and lightweight Immersion RC 25 mW 5.8 GHz Transmitters are supplied with a 3dBi 5.8Ghz Omni-directional antenna (SMA connector) & cables needed to link to the battery, video and audio from cameras into the transmitter. If you are looking for a longer range video reception you can add one of the following parts to your First Person View Video goggles or screen receiver, Immersion RC Spiro Net 5.8GHz Circular Polarized antennas and the Immersion RC SpiroNet 5.8 GHz Patch Antenna, both of these will increase the video range a huge amount over the standard 3dBi 5.8Ghz Omni-directional antennas. The Immersion RC 25 mW 5.8 GHz will operate on a battery voltage in the range of 6-16 volts, which means that you will be able to power the transmitter directly from a 3s or 4s battery without any additional voltage converters, if you need to use batteries over 4s then a voltage regulator will be needed, we recommend these 12 Volt 2 Amp Video Regulator boards. On board the transmitter there is a quiet switching regulator, this provides power supply at 5 volts to use for powering cameras that need a 5 volt feed (including HD versions). The use of 5.8 GHz video transmitters for FPV means that there is no interference with radio controllers operating on the 2.4 Ghz band and the Immersion RC 25 mW 5.8 GHz Transmitters can be used license free throughout Europe on aircraft.